Just how could this be? And as I think about him I pray I'm this great one-day! Summary Action: Service member receiving IDP. Combat distinguishing device is authorized. 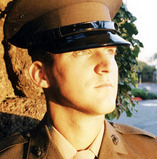 Lance Corporal Justin Ellsworth was in receipt of immanent danger pay during this period and is enthusiastically recommended for the Bronze Star with Combat Distinguishing Device POSTHUMOUSLY for his heroic actions while serving as a Combat Engineer, 2d Platoon, Company A, 2d Reconnaissance Battalion, 2d Brigade Combat Team, 1st Marine Division in combat operations against the enemy during Operation Iraqi Freedom II on November 13, 2004. Many of the successes of 2nd Platoon and Company A have been a direct result of Lance Corporal Ellsworth's intuitiveness and keen awareness. He has set an example of courage for all to emulate that has been an inspiration for the platoon as well as his fellow Marines. At approximately 1130 on November 13, 2004 a seven-man reconnaissance patrol left a platoon patrol base to interdict insurgent activity in the vicinity of Al Sadan, Iraq. Lance Corporal Ellsworth was assigned to the patrol in order to provide engineering capabilities in locating and destroying weapons caches. As the patrol was returning to the patrol base, Lance Corporal Ellsworth received an initial reading on his metal detector indicating the potential for a possible Improvised Explosive Device buried along an unimproved road. Realizing that a possible explosive device was only 50 meters away from the patrol base and numerous Marines were in the near proximity, he immediately focused his efforts to identify and neutralize the threat to his unit. Demonstrating a complete disregard for his own personal welfare he selflessly moved forward clearly exposing himself to the potential effects of the explosive. The object uncovered was determined to be a homemade explosive device. Once Lance Corporal Ellsworth positively identified the location of the improvised explosive device, determined that there were not wires and that it that was in all probability a remotely controlled device, he immediately sounded the warned for his fellow Marines to clear the area. He determined that the object consisted of three homemade explosive cylinders taped together with a cord running to a cell phone adjacent to the explosives. By this time, there were seven Marines within the immediate vicinity of the improvised explosive device and another four Marines were approximately 20-30 meters away. Shortly after discovering the cell phone, the explosive was detonated, mortally wounding Lance Corporal Ellsworth. At the time of the detonation, Lance Corporal Ellsworth was positioned directly over the improvised explosive device. His body directly absorbed a large portion of the detonation. Many Marines lives were spared and several others escaped severe injuries as a direct result of Lance Corporal Ellsworth's initiative and courageous actions. Lance Corporal Ellsworth's selfless dedication and personal bravery in the face of grave danger were heroic. His sacrifice prevented the serious injury or loss of further life among his fellow Marines. Lance Corporal Ellsworth actions and service are deserving of recognition consistent with that of the Bronze Star Medal with Combat Distinguishing Device. His courageous actions and exceptional dedication reflected great credit upon him and were in keeping with the highest traditions of the Marine Corps and United States Naval Service. For heroic achievement in connection with combat operations against the enemy as Combat Engineer, 2d Platoon, Company A, 2d Reconnaissance Battalion, 1st Marine Division, I Marine Expeditionary Force on 13 November 2004, in support of Operation IRAQI FREEDOM II. While conducting a dismounted combat patrol, Lance Corporal Ellsworth received an initial reading on his metal detector indicating the potential for a possible improvised explosive device. He realized that the potential explosive device was only 50 meters away from the patrol base and numerous Marines were in the near proximity. He immediately focused his efforts to identify and neutralize the threat to his unit. Demonstrating a complete disregard for his own personal welfare, he selflessly moved forward exposing himself to the potentially lethal effects of the explosive. Once he positively identified the location of the improvised explosive device, determined that it was not wired and that it was in all probability a remote controlled device, he immediately warned his fellow Marines to clear the area. Only seconds later, the improvised explosive device was detonated by the enemy, mortally wounding Lance Corporal Ellsworth. There were a total of 15 Marines within 30 meters of the detonation. 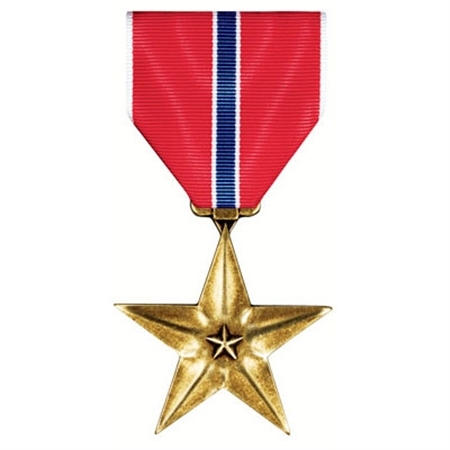 His courage and decisive actions placed him in a position in which he absorbed the majority of the blast and prevented further loss of life or injury to the members of his team and platoon. By his zealous initiative, courageous actions, and exceptional dedication to duty, Lance Corporal Ellsworth gallantly gave his life for his country and reflected great credit upon him self and upheld the highest traditions of the Marine Corps and the United States Naval Service. For heroic achievement in connection with combat operations against the enemy while serving as Combat Engineer, 2d Platoon, Company A, 2d Reconnaissance Battalion, 1st Marine Division in support of Operation IRAQI FREEDOM II on 13 November 2004. While conducting a dismounted combat patrol, Lance Corporal Ellsworth, received an initial reading on his metal detector indicating the potential for a possible improvised explosive device. He realized that the potential explosive device was only 50 meters away from the patrol base and numerous Marines were in the near proximity, he immediately focused his efforts to identify and neutralize the threat to his unit. Demonstrating a complete disregard for his own personal welfare, he selflessly moved forward exposing himself to the potentially lethal effects of the explosive. Once Lance Corporal Ellsworth positively identified the location of the improvised explosive device, determined that it was not wired and it that it was in all probability a remote controlled device, he immediately sounded the warning for his fellow Marines to clear the area. Only seconds later, the improvised explosive device was detonated by the enemy mortally wounding Lance Corporal Ellsworth. There were a total of 11 Marines within 30 meters of the detonation, and another four Marines within 30 meters. Lance Corporal Ellsworth courage and decisive actions placed him in a position in which he absorbed the majority of the blast and prevented further loss of life or injury to the members of his team and platoon. By his zealous initiative, courageous actions and exceptional dedication to duty, Lance Corporal Ellsworth reflected great credit upon himself and upheld the highest traditions of the Marine Corps and the United States Naval Service. Justin's story is similar to many young Marines. He was an adventurous teenager who enlisted after graduating high school in 2003. 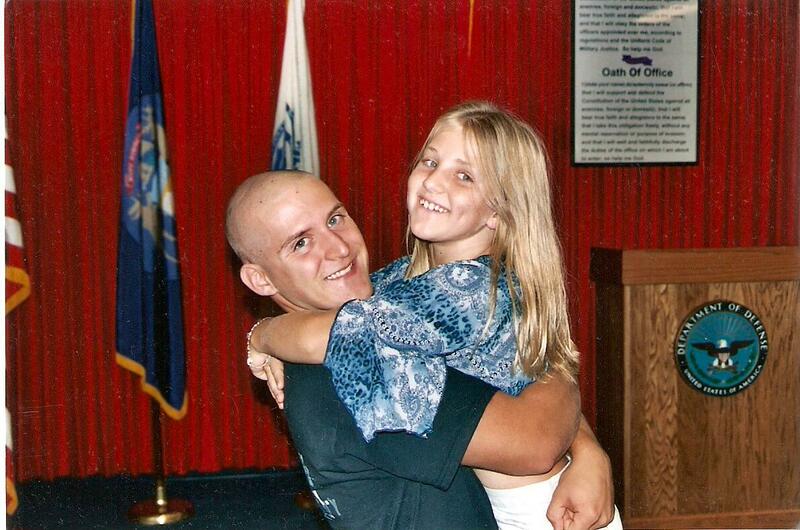 A year later he was on the ground in Iraq as a combat engineer, arriving in Fallujah on September 11, 2004. He loved the Marine Corp. and the opportunity to serve his country. I am proud of Justin's selfless actions and I want you to know about his heroic sacrifice, but I also want you to know about the person he was. I want you to know that how Justin lived was just as important as how he died. You need to know that he was a fun-loving cowboy type who could usually be seen wearing a hat, boots and a smile. That he wore number five at Mount Pleasant High School where he played hockey and football. That he was the peacemaker within his circle of friends. That he loved spending time with his family and riding horses. That his friends called him a Tweeder and his little sister Jessica adored him. I want you to know that he believed in what he was doing and was proud to serve his country. It isn't until you know the details about Justin's life that you know just how much he sacrificed, and just how much my family lost. Justin lived each moment to the fullest. He always had a smile on his face and was usually the first to grab someone in a bear hug, and hold them until you were both filled with laughter. Justin was my only son, my baby boy, my camping buddy; we camped with him since he was a baby. Sometimes it seemed we spent the summers in tents. We loved to sit on the beach and watch the sunsets over Grand Traverse Bay and watch the stars slowly appear in the night sky. We would then retreat to a roaring campfire to warm us from the night. We laughed together; we cried together, I miss him so much it hurts. On Nov. 13, 2004 Justin was serving as a demolitions expert on a reconnaissance mission when his metal detector alerted him to a potential improvised explosive device along the road. Determined to neutralize the threat, he selflessly moved forward and uncovered a homemade explosive only to discover that it was remotely controlled by an insurgent waiting nearby. With only seconds to act, he warned his fellow Marines of the danger. Justin was directly over the device when it detonated and his body absorbed most of the blast. Justin died that day, but as a direct result of his actions, 11 of the Marines with him were spared. Just like hundreds of thousands of other men and women who have given their lives in defense of freedom during our country's history, Justin is an American hero. But for me... he was my son. Justin I never had the Honor to Meet you. But I have met those that are your Family. I can see where your values came from, where you learned to be the Man You are. I have seen how they continue to spread those values and touch others lives. The impact of each and every one of your family on others lives is endless. I Salute You and all of your Family! It was an honor to not only serve in 7th ESB wIth you but to also serve along side you in Fallujah. I will never forget the kind of Marine you were. You are forever my brother and I will never forget the sacrifice you made that day. Though you are missed you will never be forgotten. May you guard those gates with pride and Esprit de Corps. Till we meet again... Semper Fidelis! 10 years have gone by and as I get older I realize how much your sacrifice truly meant. I realize how much living I have done in 10 years and hope that I am honoring you by doing a little extra living (and giving) on your behalf. I hope that everyone you touched does the same and somehow we make a small dent in the void you left. Someday I will post stories that show your sense of humor and love of family, but today is always hard. I am always at a loss for words. I will always shed tears and try to be comforted by the memories of your hugs and smiles. On that note I will end this message the way we always ended our conversations-Love you cuz! God Bless you Justin...rest in peace. Justin was a good kid, and a great friend of my son Jason who is now in the Marines in Afghanistan, I know jason misses him greatly. justin also always had a smile on his face when you saw him. I remember when he got out of bootcamp how proud he was. Rest in Peace Justin. You did a good job in Iraq. I didn't know Justin personally. However, as a former LCPL Marine reservist, I was pulled out of my classes at CMU in 1990 and sent to active duty service for Desert Storm. I think I can relate to some of the thoughts and feelings Justin must have felt leaving America to defend her. It's hard to think back then, but I remember pride mixed with anxiety, and a belief that I was doing my part to protect those and what I loved. I'm sorry that Justin, and all of our fallen defenders won't know the joy I did, coming home to America. Please know though that those who really love America, realize we sleep safe at night because of heros like Justin. Semper Fidelis dear brother, we will always be grateful to you for paying the ultimate price for us and our home. I couldn't have asked for anyone nicer or more friendly to be in high school with. I'll never forget you or any other person who as given of themself for this country. My son is named Justin in your memory.